White Sneakers AKA Tennis Shoes are like jeans – everyone has them, but not everyone has the right ones or knows what to do with them. Sneakers look good with any casual outfit (no suits, PLEASE!) and your color choice and how you care for them will have a big impact on whether you’ll look sharp, or just… blah. If you’re reticent about white sneakers, I get it. My clients are a little freaked out by them in the beginning, too. But the reason I prefer white is they look super sharp and literally go with everything you’d wear casually. 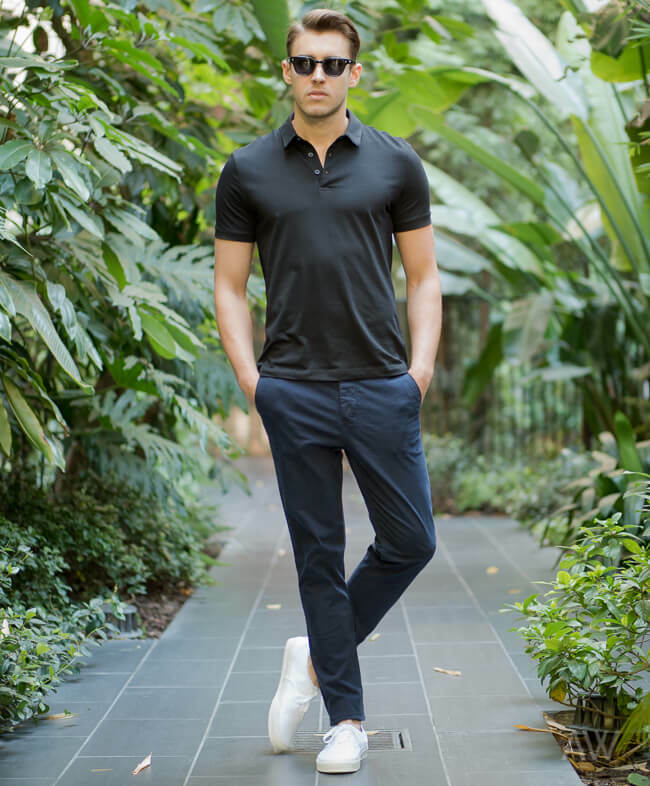 A pair of white sneakers instantly elevates an outfit to be a little sharper than it would be with other casual shoes. In my book, that’s a good thing. If you really, really don’t want to get white shoes, go for a navy color then. They’ll still go with a lot of the other essentials on my list, but not as well as white. High Tops or Low Tops? 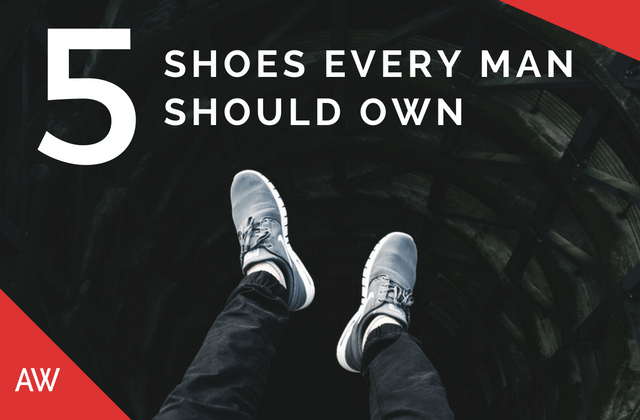 For a foundational piece like this, leave the high tops for later. They’re not appropriate in many occasions where low tops are. High tops are definitely more sporty looking and with pants will bunch up around the ankles and can create a lot of stacking. This is when I’ll leave it up to your preference. Either one will work for the same occasions and outfits. Some people prefer natural fibers over leather. I prefer leather because it doesn’t stain as easily and they’re easier to keep clean, but they’re also (slightly) more costly. It’s entirely up to you. I’ll provide both options below. Dirty or worn out shoes are a major turn off. Spend 30 seconds and take wet cloth or a Magic Eraser sponge and give your shoes a quick wipe down. I personally love using Jason Markk’s cleaning kit – check out my video about How To Clean Dirty Sneakers. A little effort goes a long way and will keep your shoes looking good for much longer.